Eat FOOD. Sounds simple enough, but it is more complex than you think! Our Grocery Stores are full of Edible Food like Substances that have a negative impact on your health! This book is FULL of easy to digest information that will enable you to maintain or even regain your health! Michael Pollan is the author of five books: Second Nature, A Place of My Own, The Botany of Desire, which received the Borders Original Voices Award for the best nonfiction work of 2001 and was recognized as a best book of the year by the American Booksellers Association and Amazon, and the national bestsellers, The Omnivore’s Dilemma, and In Defense of Food. A longtime contributing writer to The New York Times Magazine, Pollan is also the Knight Professor of Journalism at UC Berkeley. 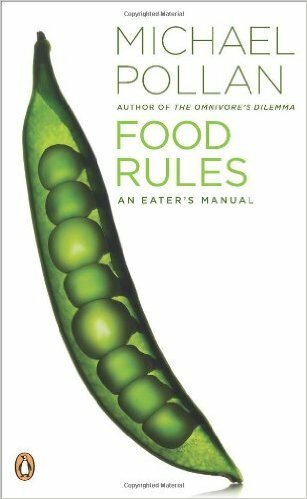 His writing on food and agriculture has won numerous awards, including the Reuters/World Conservation Union Global Award in Environmental Journalism, the James Beard Award, and the Genesis Award from the American Humane Association.